CPQ - Configure Price Quote software - can be intensely beneficial to a sales team. 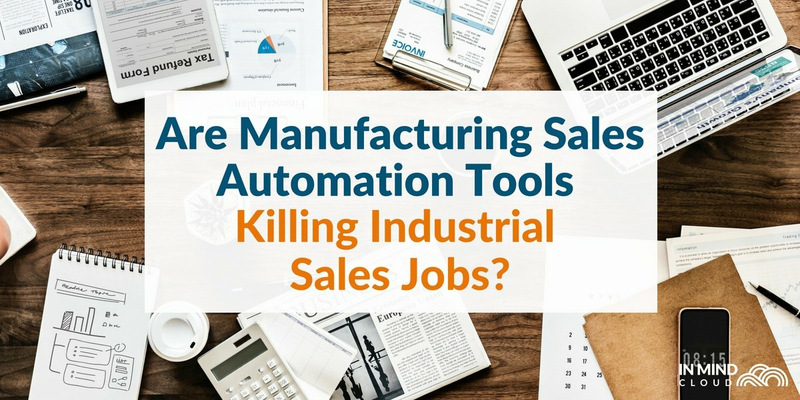 The automation factor in quoting and proposal generation does not only save time, but helps cut down on costs of sales. Besides efficiency, a CPQ solution increases quote accuracy ensuring the profitability of quotes, especially for margin sensitive businesses. Certainly, these benefits are tremendous. But what really gives a CPQ the strength to transform the sales of a company is its ability to span front and back office. 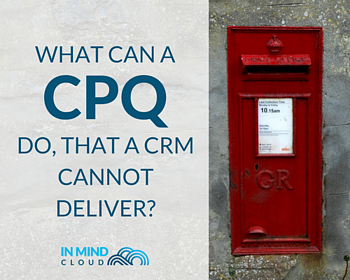 What can a CPQ do, that a CRM cannot deliver? A next-generation CRM, such as SAP Hybris Cloud for Customer brings sales, customer service, and social CRM together. The SAP Hybris Sales Cloud enables sales teams to organize accounts and customer data, track communications, manage leads and opportunities, whilst delivering analytics insights. 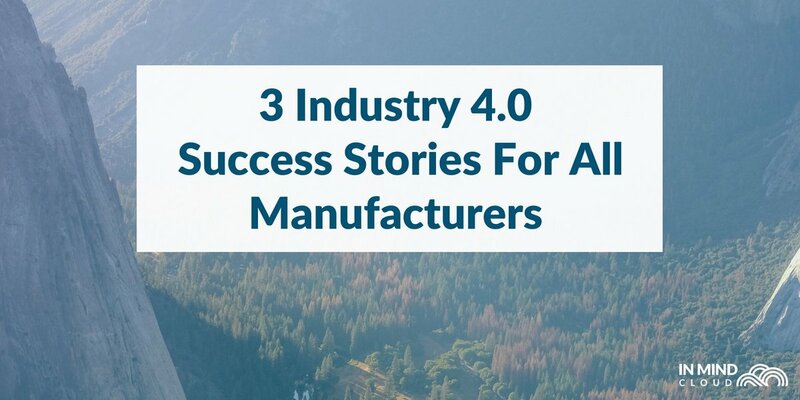 However, a CRM does not have the capability to perform tasks around product or solution configuration, cost calculation, pricing and proposal generation. Businesses with either complex products and solutions or complex cost structures will always rely on CPQ software to extend the meaningful conversation with their customers towards creating profitable quotes and actually winning deals. 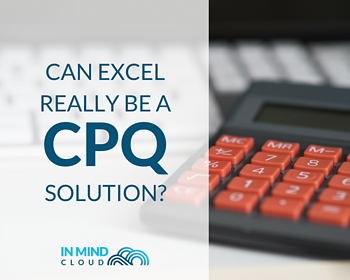 Can Excel really be a CPQ solution? 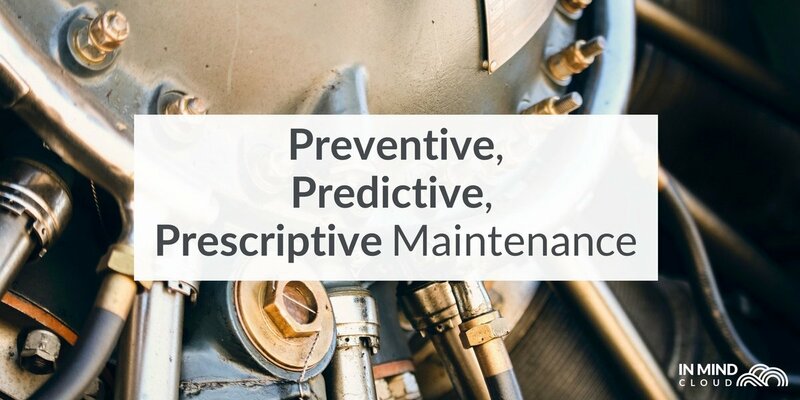 The complexity of products, services and/or thousands of configuration options inhibit a high risk of quoting errors which could result in unfeasible solutions quoted, yet again resulting in high error correction costs. Complex cost calculation performed with outdated product prices might lead to inaccurate pricing and shrinking margins. When opposed to customer budget restrictions and quota pressure, sales teams tend to under or overprice, both of which can cause serious damage to a business. The need for quote collaboration with engineering, purchasing departments and other specialized departments stretches the entire sales cycle and is another source for errors. Let me summarize this for you: No. Excel cannot be a replacement for a smart CPQ solution. However, it can be a meaningful tool for product modelling, thus increasing efficiency and helping a business stay agile. (Read more in our article "Modelling in CPQ made easy with Excel"). 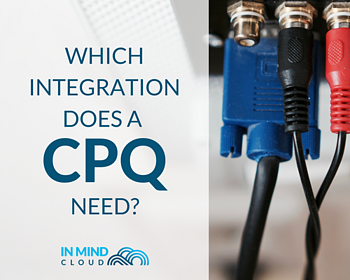 Which integration capability does a CPQ need? 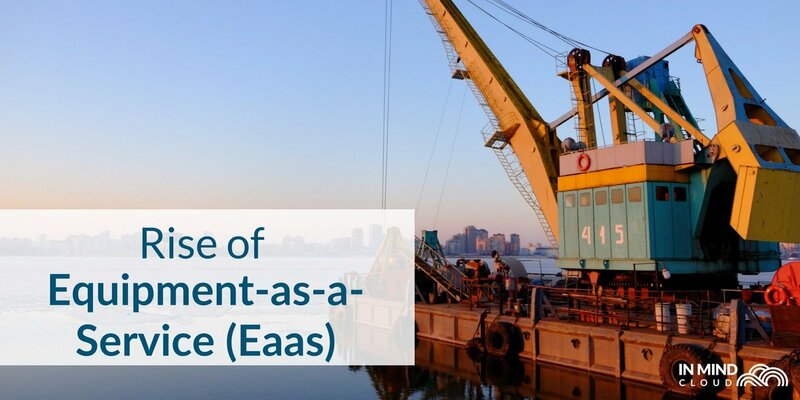 A CPQ solution claiming to solve the above-mentioned challenges needs deep integration into the front end as well as into production processes with real-time access to ERP data. When sales teams aim to produce a quote within hours instead of days or weeks, having access to all relevant data and processing them in the right system is key. Our Configure Price Quote solution is spanning the front and back end in SAP environments to provide the required data directly in the CPQ process. This allows sales teams to prepare accurate and profitable quotes directly in SAP Hybris Cloud for Customer. Cloud CPQ Express also empowers sales teams to create sales orders in SAP ERP at the click of a button without exposing this sensitive step to further inaccuracy risks. See for yourself how an end-to-end sales process spanning SAP Hybris Cloud for Customer and SAP ERP looks like in our new CPQ demo video.